Today we say goodbye to November...this means that we're officially entering the holiday season...whoop whoop! I can't wait! I'm really in the mood to do some Christmasy nail art! Until then, let us focus on today's nails. I just love how they turned out. 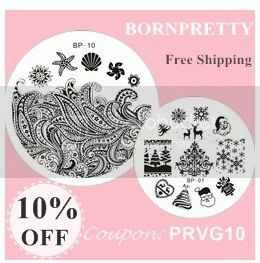 Of course, all the credit goes to the cutest stamping plate from Born Pretty Store, which is winter themed (view here: BP-L018). For the base I used Essence - Wild white ways (which needs a review, because it's awesome) and for the pattern I used a cappuccino brown from Miss Sporty, the number wore off, so I can't tell you the exact shade. So that's it! 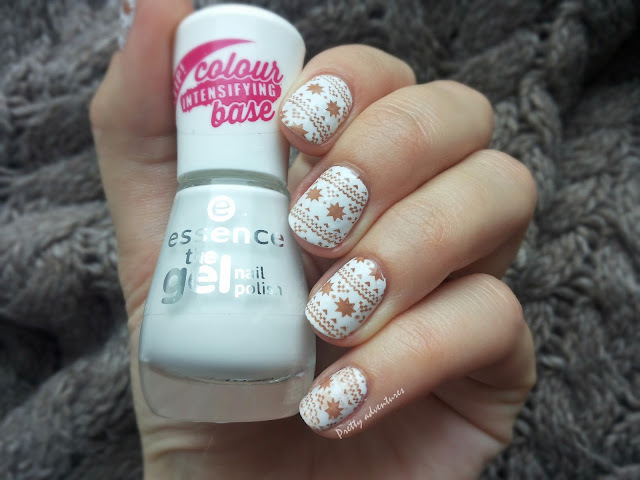 I hope you like this combo, goes well with a large hot chocolate with marshmellows and cozy surroundings. Yes folks, winter is here! I think it's the first time in years that I'm excited about winter. And may your December be warm and happy!